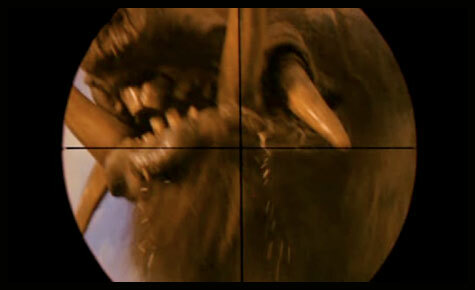 Okay, now I’m all obsessed with RUSSELL MULCAHY’s giant pig movie RAZORBACK from 1984. I did catch this one back in the day on cable and I remember being struck by the visuals and left with at least one strong scene trapped in my head, but why has it taken me so long to return to this handsome misfit flick? In my defense, copies don’t exactly grow on trees in my neck of the woods but I’m still ashamed of not putting forth a bit more effort. We’re talking a killer pig movie from the director of the “Total Eclipse of the Heart” video after all. How is that not going to work for me? GREGORY HARRISON stars as vanilla urbanite Carl Winters who hits the gritty Aussie outback in search of his missing reporter wife. While in the Land of Oz he encounters obstinate man of the land Jake Cullen (BILL KERR) whose grandson did a similar vanishing act. Locals accuse Jake of the tot’s disappearance not believing his account of a tusked boar or “razorback” the size of a rhino snatching the kid away (I thought only dingoes did that!) 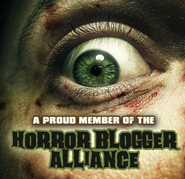 The two are helped by a beautiful piggy expert (the late ARKIE WHITELEY of THE ROAD WARRIOR) and hindered by two nutzo brothers (CHRIS HAYWOOD & DAVID ARGUE) so twisted they’d feel right at home at the family dinner table from THE TEXAS CHAINSAW MASSACRE. I’m not going to lie, not everything is firing on all cylinders in RAZORBACK. Much like the previous year’s THE KEEP, the visuals tend to bully if not suffocate the narrative. Unlike THE KEEP though, RAZORBACK provides us with at least enough information to know what’s going down. It may not always tell its story in the most coherent way possible but there is never any doubt that we are watching a man vs. beast tale not unlike JAWS or even ALIEN. MULCAHY’s effort may not be the smooth running machine those two examples are but give him a break; there are easier tasks in life than constructing and convincingly displaying on film, a monster pig. I don’t think the title creature looks that bad myself but the effort to keep the questionably convincing porker under wraps tends to render some of the action overtly obtuse. Various shortcomings aside, RAZORBACK is gonzo gorgeous nearly all of the time and the decades have only made it more dazzlingly esoteric. MULCAHY has brought along his bag of video tricks: light beams, reflections and flares bounce off of everything but what is really astonishing is how other-worldly he presents his homeland. I swear it looks more like another planet than another continent on multiple occasions. That’s never more so the case then when mid-way through the film, Carl’s exhaustion leads to hallucinations and we’re gifted acid-flashback eye candy, perfectly doused in an IVA DAVIES’ (of the Aussie band ICEHOUSE) score. I’d say this film is only a proper DVD/Blu-ray release away from having its cult status explode triple fold. RAZORBACK was MULCAHY’s first theatrical film and although not a financial victory, he, along with cinematographer DEAN SEMLER (THE ROAD WARRIOR), delivered something vibrantly cutting edge and trash chic unique that looks like science fiction, feels like horror and struts like an action-adventure/western. The story loudly argues with the semi-slacking special effects but the overall dynamic look of this batty opus is the ultimate peacekeeper. Things may have fared better with a leading man who could possibly compete with the surroundings and supporting players but GREGORY HARRISON can at least be said to sufficiently convince us that he’s in over his head. One could argue that HAYWOOD & ARGUE as the rat-like brothers Benny & Dicko Baker slyly swipe some of the titular beast’s thunder but my personal favorite scene involves the porcine powerhouse dragging off the side of a home, with blasting TV included, away from an in-shock couch potato. That’ll do pig! I went out of my way to get a PAL DVD of Razorback about two weeks before WB Archive put their edition out. Oh well. It’s really nightmarish. I had to replay the shot of Arkie Whiteley’s facing turning piggy 4 times in a row before I could carry on with the movie. That pig face is crazy! I was gonna do a screengrab for that but wanted to leave it as a surprise. It’s very strange and pigs are just disturbing anyway. I found Razorback on demand so if anybody has Xfinity on demand it should be in the free movies section. 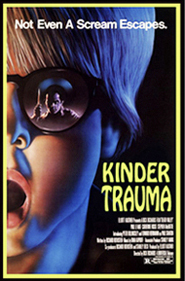 Afterward I HAD to track down the widescreen version. So many great images. “Black Sabbath” . I’m a sucker for well lit smoke & fog. I found the making of doc “Jaws on Trotters” on Youtube. If you dig “Razorback” it’s a great watch! David Argue made a little movie in the 80s called Backlash that I highly recommend. 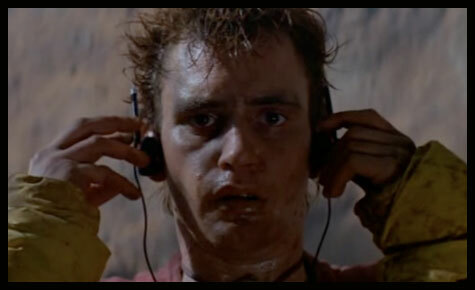 Also, Mulcahy directed the Duran Duran Video Night Boat, which looks an awful lot like an Italian zombie movie. Well, it reminds me most of Fulci’s Zombi mostly. Very cool, creepy video. Sorry I spoiled the surprise! Everyone ignore my first comment. I never thought of it that way, but you’re right…The visual style in Razorback is totally Bava, updated for the 80s music video age. Have you seen Long Weekend, another Aussie nature run amok movie? It’s a little bit slow and subtle for Ozploitation, with two unlikable main characters, but something about it actually gave me nightmares. 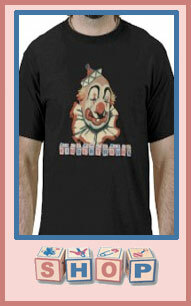 I think this one had a bit of a curse put on its head back in the days of VHS. It should have built a strong rep over the years by veiwers slowly jumping aboard, but this scenerio always plays out in my head: standing in a video store and seeing that it shared an almost identical cover with MUTANT, thinking to myself “MUTANT sounds cooler than RAZORBACK”, renting MUTANT and not being impressed, then thinking “I’m not going to waste my time with its dopplganger”, and never getting to experience the film until later. You should do a back-to-back image of both movies, Unk. The similiarities are eerie (and damning for poor RAZORBACK). That video does look like “Zombie”! 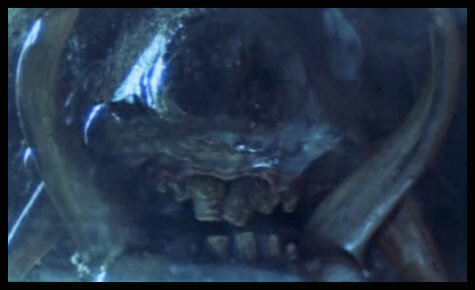 Ya know, we should do a post on horror images from Russell Mulcahy music videos, there must be so many. The Glowing eyes from “Total eclipse” and isn’t there a water monster in “Wild Boys”? “Long Weekend” is great. They actually just did a remake that slipped by me cuz they changed the name. It’s called “Nature’s Grave” and was directed by the guy who did “Urban Legends” I tend to love Australian films. I think it’s partially because they still have a healthy respect for nature that seems lost almost everywhere else. Craig, here ya go…Boo Mutant! WOW…I could picture both VHS covers in my mind, but I didn’t realize just how similar they really are, right down to the shafts of white light in the exact same places. The only thing Mutant has on Razorback is Wings Hauser. It almost looks like the Mutant image was painted right on top of the Razorback image! Lance, I think even just a general image gallery of scary 80s music video images would be great… What’s that’s weird Laura Brannigan video? There’s tons of stuff! I forgot about the water monster in Wild Boys. Yikes! You must mean “Self Control” with that guy in the white mask right? Double yikes on him. Holy cow I totally forgot about that video!! It’s got a crazy Fame/Eyes Wide Shut/Repulsion/Phantom of the Opera mixup thing going on! I love how a lot of 80s videos make absolutely no sense whatsoever. The water monster in Wild Boys traumatized my nephew when he was little. I think I did a trauma by proxy for it. That Laura Brannigan video is weird and creepy! 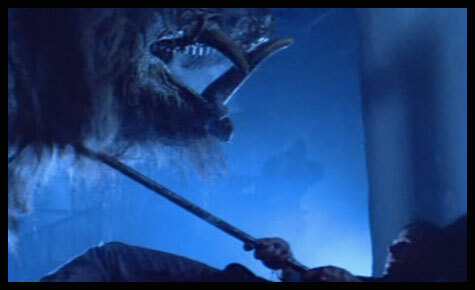 Love Razorback, awesome monster movie. Hi, Folks. 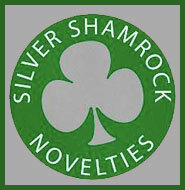 Love the site, and visit every day. 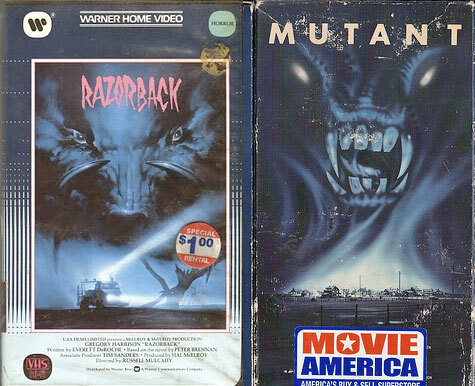 I usually don’t comment, but I had to when the similarities between the RAZORBACK and MUTANT VHS covers were mentioned. I was one of the original writers of MUTANT, also known as NIGHT SHADOWS, and I have no idea who the genius was that put that monster face on the cover. Nothing like that appears in the film, and I thought the original cover was fine and evocative as it was. I really enjoyed RAZORBACK, and I still have a soft spot for MUTANT, too. And, finally, both Wings and Bo Hopkins are great guys. 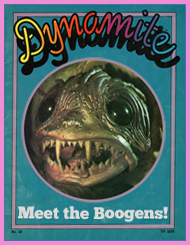 Now I feel bad for saying “Boo Mutant!” I should have said Boo whoever did the VHS cover art! Glad you are enjoying the site & great to hear Wings and Bo were cool guys! I found Mutant aka Night Shadow’s original poster art below…. 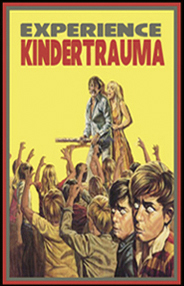 I’d also like to add a couple of movies that gave me my own Trauma as a kid; FIRST MAN INTO SPACE, and PSYCHO. 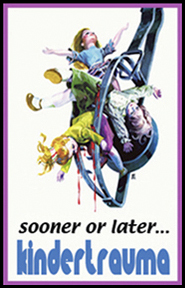 I now love Hitchcok and his films, but back then, I couldn’t even watch his TV show without thinking about Psycho. As for “First Man”, something about that horrible monster costume that really bothered me. I still get a little queasy thinking about it now, even thought I ‘ve seen the movie in the years since. Thanks, Unk. Needless to say I have that poster in a nice wooded frame at home — even though my wife keeps trying to get me to take it down. We’ve never gotten a traumafession on “First Man Into Space” before… I had no idea that “The Incredible Melting Man” was a remake of that! I’ll have to check that out! I loved Razorback from my first viewing ages ago. As much for its otherworldly visuals (that pet food factory is terrifying in and of itself) as for its great monster. There’s something about pigs, especially giant ones that is particularly scary. Perhaps its because they rank up near the top in intelligence in the animal kingdom. Add in the tusks, teeth, beady eyes and horrendous bulk and you’ve got one viscious creature! I also enjoyed the more recent PIG HUNT for similar reasons (although not as much) and am looking forward to my first viewings of the French PREY and Korean CHAWZ when I can get my hands on them. Thanks for calling attention to a great film.